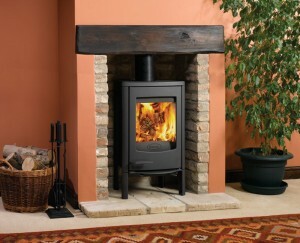 As far as investments go, domestic wood burners are right up there with the very best. Indeed, these highly rewarding and immensely satisfying additions to the home are not only able to provide homeowners with many years of invaluable service, they can also help to save them lots of money on their heating bills. Of course, whilst wood burners are well known for being able to ‘soldier on’ from one winter to the next will no ill-effects; they are not totally immune to performance issues. It is a strange phenomenon however that many wood burner owners initially feel the need to replace their misfiring burners with brand new models when gremlins get into the works. This may be down to genuine surprise or it may simply be a result of the increasingly disposable outlook which consumers in the UK now seem to embrace. Regardless, it is important to note that many performance issues related to wood burners can be easily remedied. Indeed, a brief glance online, a quick look through the instruction manual or a short phone call to the suppliers is normally all that’s needed to conjure up a solution. To be sure, the majority of problems will more than likely be put right simply by carrying out a little bit of research and/or getting hold of the right stove spare parts. Unsurprisingly, some well chosen stove spares and a little bit of effort constitutes a much better investment than buying a whole new woodburner!